entitled to compensation. 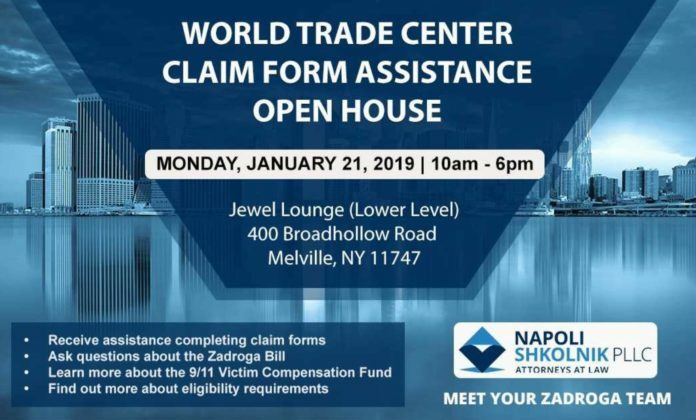 Find out the more about ZADROGA Bill, that was passed to help people that were effected by 9/11 during the Open House organized by experienced lawyers of Napoli Shkolnik PLLC on January 21. Receive assistance completing claim forms.